Ben Horner is an award-winning producer, electronic composer, live performer, and lecturer in audio technology and composition. The Audiosphere is his online presence - a digital representation and shadow of the sonic hum and cacophony of the planet on which we all live. 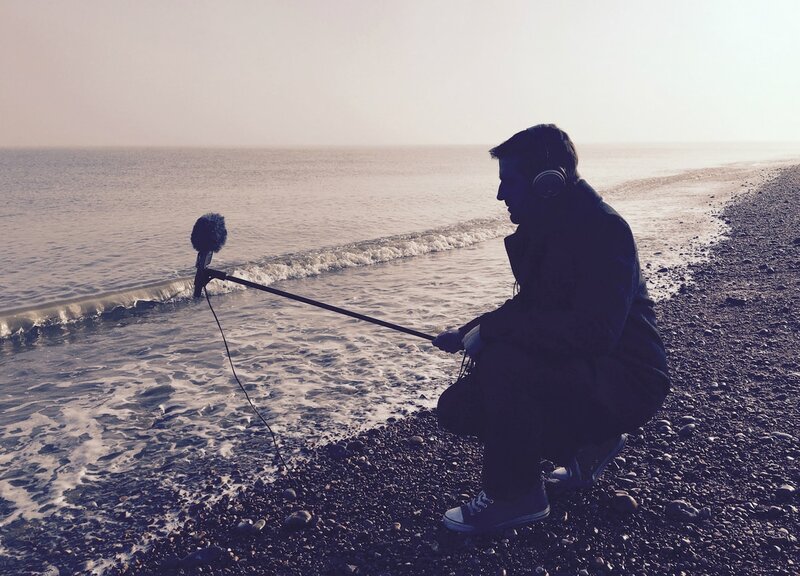 Interested in sound for space and the psychoacoustic properties inherent in audio composition, Ben works extensively with field recordings and interview material to create pieces based on cultural and geographic reference points. These raw materials are treated and manipulated to convey an atmosphere and a sense of ‘the where’, socially, historically and spatially. Previous works include Living Sound, a headphone installation designed to be loaded onto an mp3 player to compose realtime audio in designated spaces, and      , an audio documentary-essay reworking and analysing The Beatles’ Sgt Peppers Lonely Hearts Club Band. Ben has collaborated on a number of audio projects with composer and improviser Sam Bailey including the Eating Sound project at the Truscott Arms in Maida Vale in London, Songs from the Wood - an audio documentary piece that was exhibited at the Sidney Cooper gallery as part of Sam's Piano in the Woods project - and is involved with running the successful Free Range nights in Canterbury. He also produced Sam's first solo record. In collaboration with Reid Dudley-Peirson, he co-wrote and performed a 40-minute work for guitar, drums and laptop called In Reculver Bay which was performed at the Cricoteka centre in Krakow, Poland on 23rd November 2013. Ben writes, edits and produces Goodwin Sands Radiogram, a series of programmes featuring the people of south-east Kent and surrounding area. This project won the Kent Creative Award 2017 in the audiovisual category. There are further episodes planned. www.goodwinsandsradio.org. He plays drums and pretty much anything/everything given half a chance in underground (unheard-of?) Deal-based art-indie rock band 3lb Bass, who are currently making their first record since 2004 (album three). He lives in Deal on the south east coast in the UK and currently studying for a PhD in podcast feature documentary. He holds a BA (Hons) in Creative Music Technology (Canterbury Christ Church University) and an MA in Digital Media (Goldsmiths University of London), the latter of which offering the opportunity to rant for 15,000 words about the social appropriation and semiotics of audio formats.